As winter creeps up on us, so does the cold and it's not difficult to be caught out with freezing hands and feet in the plane or air. While definitely uncomfortable, the cold can also have a substantial effect on your performance in the air as it affects the ability of muscles to perform well. There's also a safety risk to hands numbed by the cold when it comes to deploying your main, flying your canopy, or doing reserve drills. 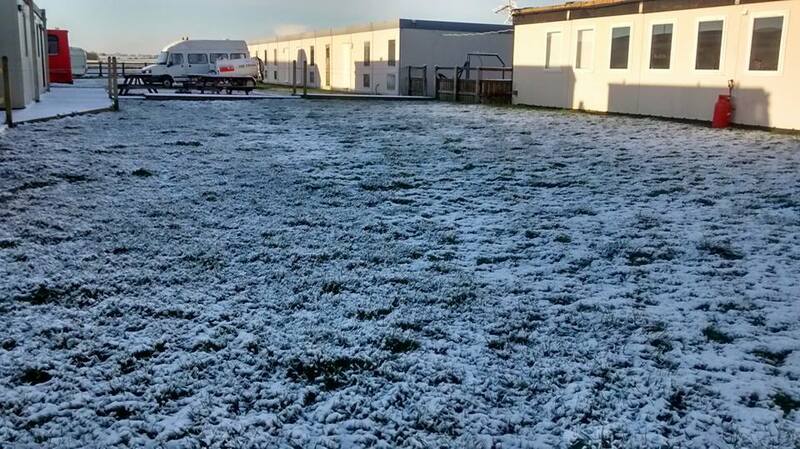 It’s important to remember that skydiving in the cold isn’t just about that minute of freefall; you’ll be subjected to the cold from the moment you walk out to flightline until you’re back in the packing shed (if it’s heated!) or clubhouse after your jump. So how do we stay warm? There are several things you can do to help, but above all it’s about how you dress. Between each layer you will get a small pocket of air which will warm up and stay warm. For you to lose heat, the heat must transfer through each layer. Test all movements: reaching and locating your pull, grabbing toggles, performing emergency procedures, arching, opening visor, etc. with your new layers and additional warming items before getting on the aircraft. In the cold, your body will focus on warming your torso at the expense of your extremities but if you can keep your core warm, it'll mean more heat for your body. Thinner layers work better than bulky items. 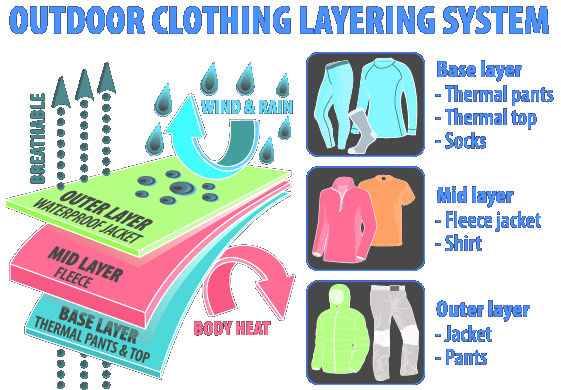 Base layers such as thermals can be used close to the skin to give a first barrier, many are made of fabrics that move the moisture away from the skin to regulate your body temperature. On top of this, a t-shirt followed by a thin jumper or fleece will give you extra warmth with minimal bulk. Underneath your trousers, you can also buy thermal leggings and trousers to keep more of the warmth in. Make sure whatever you buy fits underneath your jumpsuit (consider layers when buying your suit in the first place) and still lets you move freely. Wet feet from a flooded landing area can make the rest of your jumping day most unpleasant and will significantly contribute to a loss of heat. Many waterproof walking shoes are unsuitable for skydiving (hooks, ankle protection, and lack of flexilibity to fit booties to name a few) but waterproof socks are an ideal fix. P.S. Remember not to leave your kit packed if it's wet! Cold hands are skydivers' most common complaint in the winter. Having a good pair of winter gloves is very important, look out for types that block the wind and are a thicker winter weight (for example). 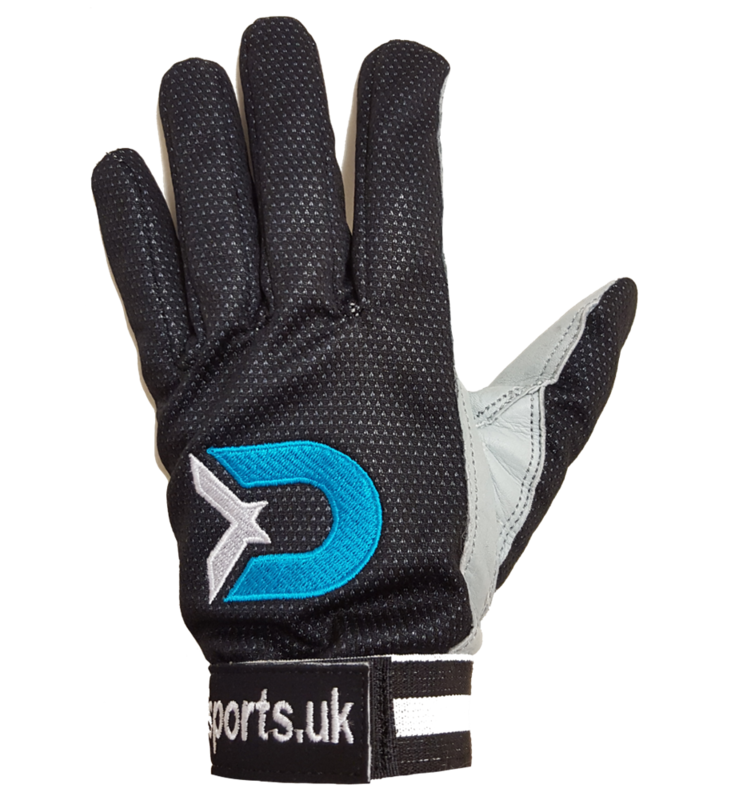 You can buy non-skydiving gloves but make sure they are not so bulky that they affect your hands' ability to move (e.g. skiing gloves) - that dexterity is important when finding your handles, and that the palm-side is "tackified" and not slippery. Underneath your gloves, liners will also give an extra barrier to the wind. Silk liners tend to be the best at this but there are other options. Merino wool liners are also good in the winter but are slightly bulkier so check they will fit well under your gloves. Some skydivers prefer neoprene or even latex surgical gloves, but these can make your hands sweaty. Hand warmers and heated gloves may be tempting options for the shivering skydiver. Some hand warmers are very helpful and entirely safe to fit under your gloves but others may be bulkier, so check that they won't affect your hands' movements, especially when having to grab handles. If you can find a pair of small reusable ones, this might be the most cost effective option as most are single use. Battery-heated gloves are on the market, but are often bulky and may have snag points so look at them carefully before buying and ask your Chief Instructor for their opinion before jumping anything of which you're not certain. Most jumpsuits will leave the majority of your neck exposed between the collar and your helmet. 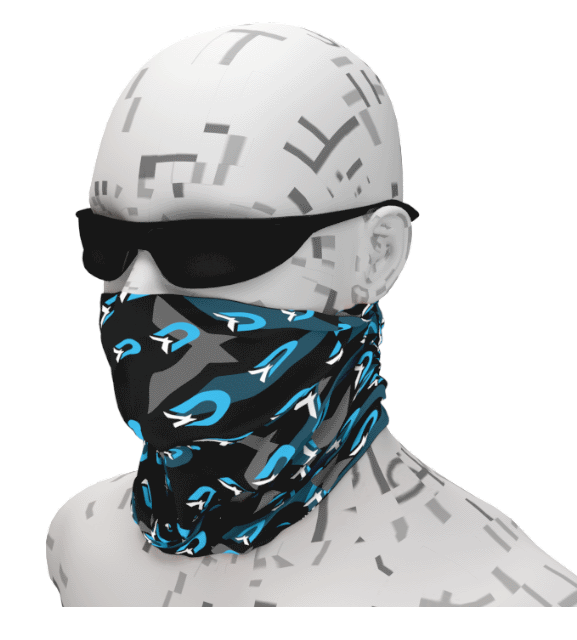 Buffs (or similar unbranded neckwarmers) provide a layer that will cover your neck and/or head. These can be worn in different ways depending on your preference with your suit, helmet, and hair so try a few styles to see what suits you. Winter buffs are lined with fleece and can keep you a lot warmer, whereas summer buffs are a thin material and will keep the sharp wind off your skin, they will also keep you warmer in some of the colder months and work to move moisture away from the skin. Some skydivers also choose to wear thin caps underneath their helmets, which can give you a layer of warmth and keep hair under control. Hoodies are a popular go-to for many people on the ground, but it's worth noting that they are not ideal for skydiving and can be unsafe. The hood presents a hazard if left loose around the reserve on your rig, and can prevent your head from being held back as much as it could be during an arch or to look at your canopy. The body of the top can easily cover your handles if not tucked in properly or covered by a suit and there have also been reports of jumpers getting their hands caught in the front pockets when performing emergency procedures! In summary, avoid hoodies as a top layer. Test all movements: reaching and locating your pull, grabbing toggles, performing emergency procedures, arching, opening visor, etc. with your new layers and additional warming items before you kit up on a call, or even before get yourself manifested. Especially before getting on the aircraft. Do not jump if you have doubt on any of your movements.